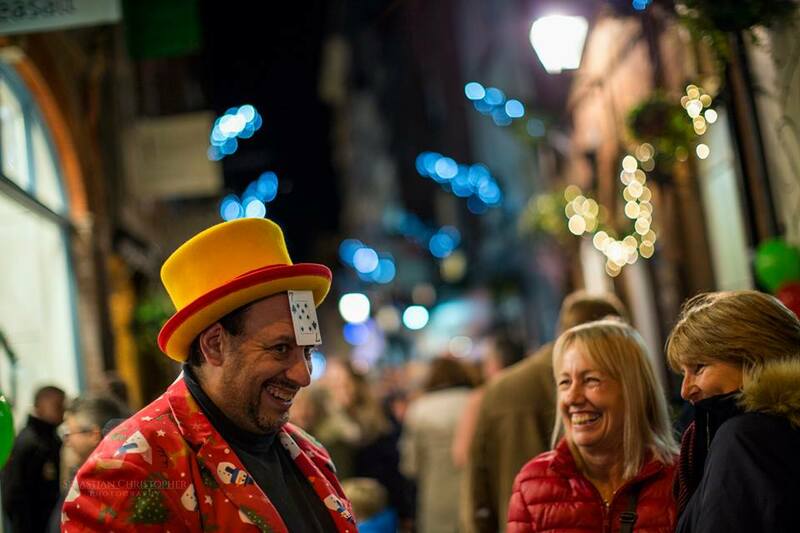 As the nights draw in and Christmas Decorations start to appear all around Exeter, Gandy Street’s Countdown to Christmas will start the season off with a spectacular Christmas Party. 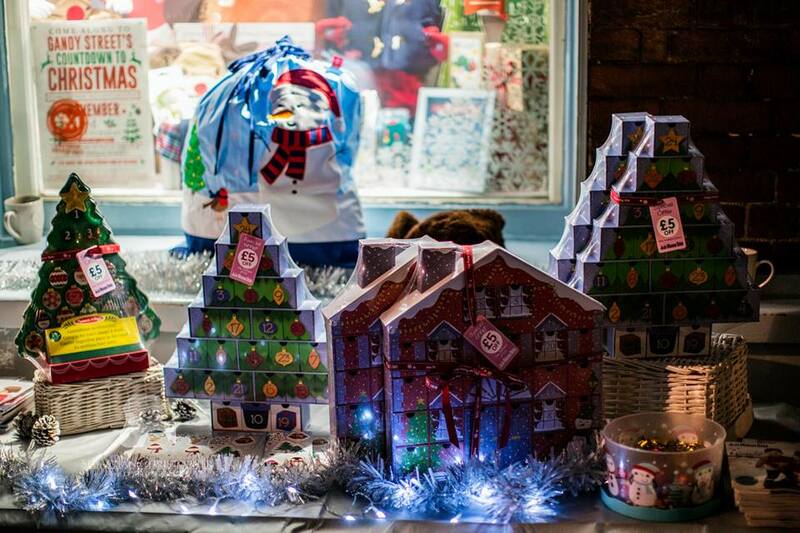 Shoppers can expect a winter wonderland with all kinds of treats, fudge and chocolate samples; prosecco, mince pies and mulled wine, cider and gin, not to mention offers and promotions up and down the street. 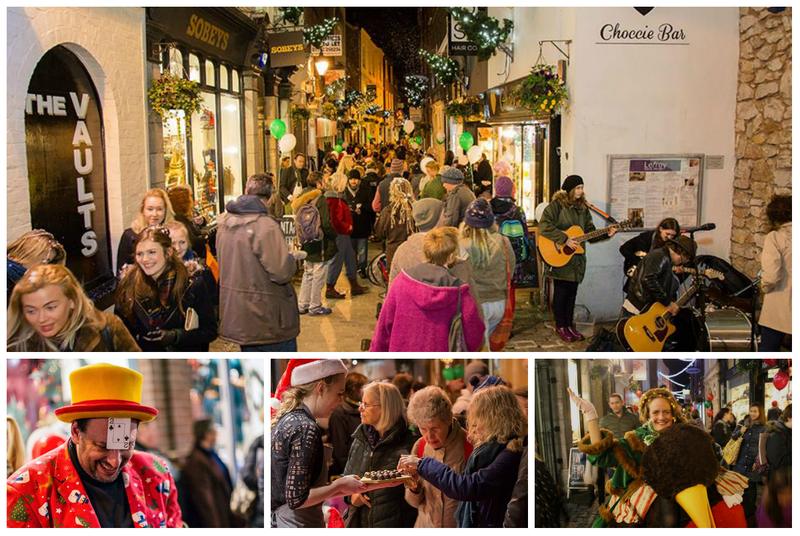 There will be SNOW, a children’s craft workshop, street performers from the Music In Devon Initiative, a choir, a return of the wonderfully endearing Victorian Fairy, Betty Twinkle on her giant Robin and Oz Symons Man of Magic performing as a Magical Santa! New for this year, will be a Santa’s Grotto in Coolings’ Cellar bar and the not to be missed chance to see inside one of Gandy Street’s historic listed buildings, The Freemasons’ Hall, including the masonic lodge room. The open evening will be sponsored by Semper Fidelis Lodge and free entry (via the Gandy St entrance) will be from 6pm - 8pm. There will also be a Charity Tombola with an exceptional array of prizes, donated by the businesses and mini massages to raise money for Children’s Hospice South West. Keep an eye on the Gandy Street Facebook page and the website www.gandystreetexeter.com to see what is up for grabs! Organising this very special evening is Philippa Rutherford, InExeter representative and owner of Mantis. “We’re so excited to be bringing this event back again. 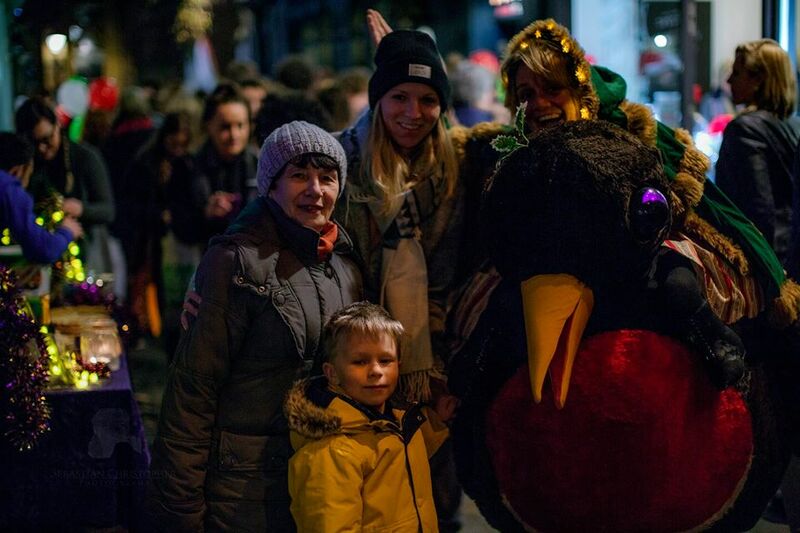 It’s become a tradition in Gandy Street to herald in Christmas with this fabulous festival. We’re really grateful to the support from InExeter who along with the businesses fund the event,” she says. 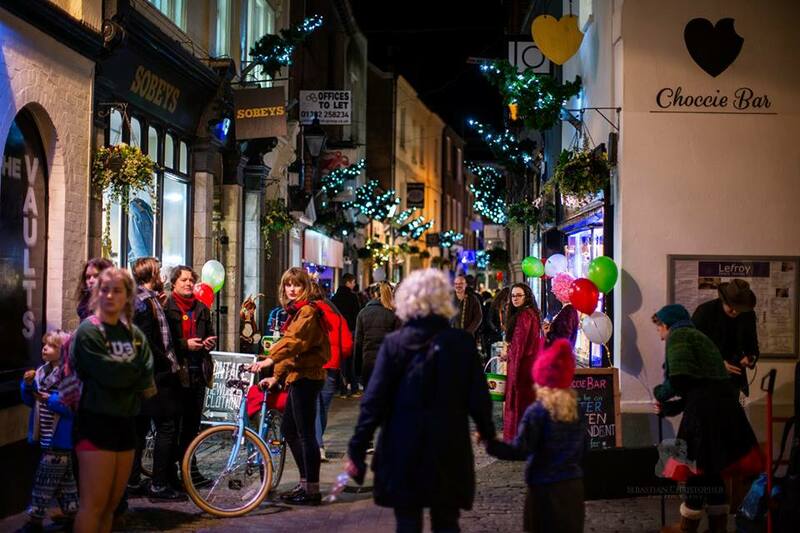 “Gandy Street is such a special street with it’s eclectic and artisan independents and this year we will be joined by some amazing stores from Queen Street. 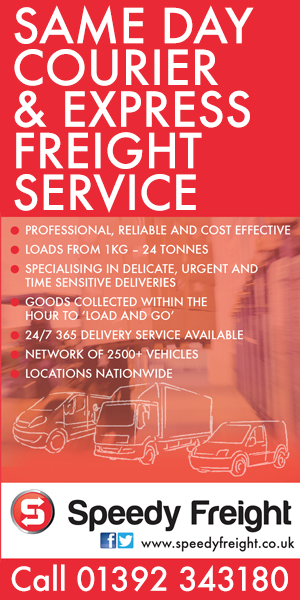 We see it as a great opportunity to celebrate and thank our wonderful customers and see in the festive period together with a Christmas extravaganza!” she adds. 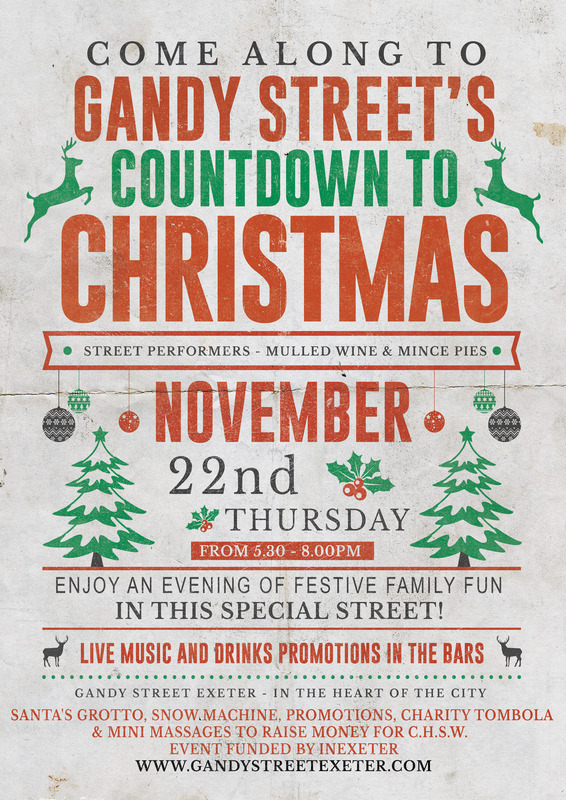 All of this will be happening under the twinkly lights of Gandy Street from 5.30pm until 8pm on Thursday 22nd November 2018.